Join us in Las Vegas March 19-21 for Modern Customer Experience presented by Oracle. Join us at Oracle Open World September 15-19, 2019! 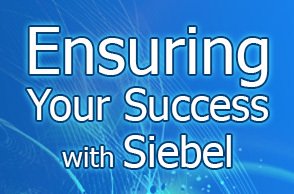 We are excited to offer our industry leading Siebel upgrade services. Contact us to find out how to save time and money on your Siebel upgrade. Early support from PPS in the planning process can help prevent setbacks on your upgrade project. We are dedicated to quality and customer service. Our goal is to build customer loyalty by delivering above average upgrade projects with substantial time and money savings. PPS is a 100% woman-owned small business, an Oracle partner, and a member of Oracle Application User Group (OAUG).